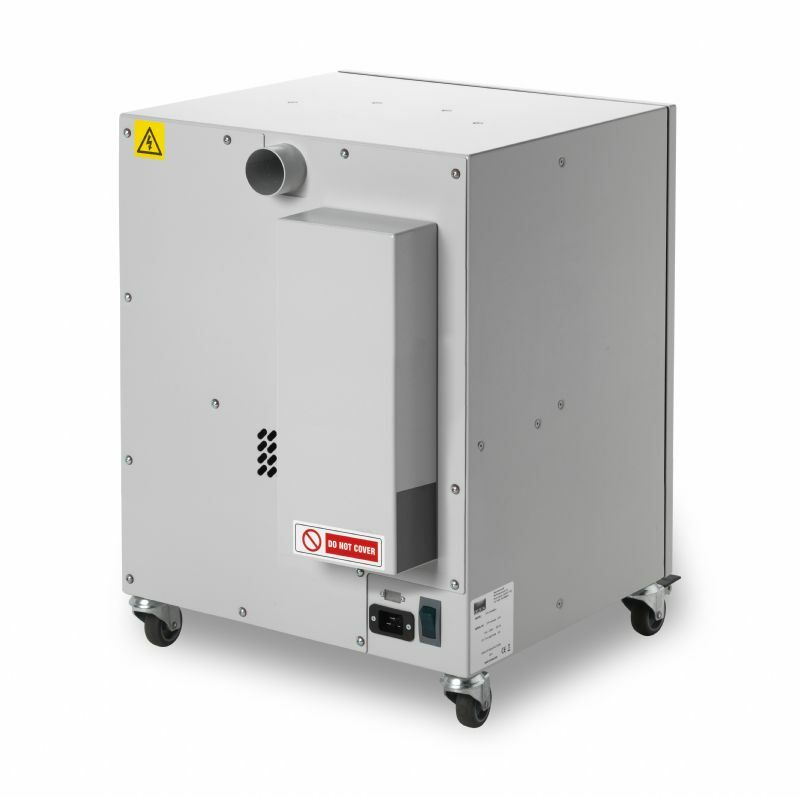 A High Quality, Low-Maintenance Portable Dust Collector Designed for Laser Cutting, Drilling, Marking & Other Applications, with an Advanced Long-Lasting High-Volume Bag Filter and HEPA for Quiet, Effective Dust Removal at 99.997% to 0.3 Microns. 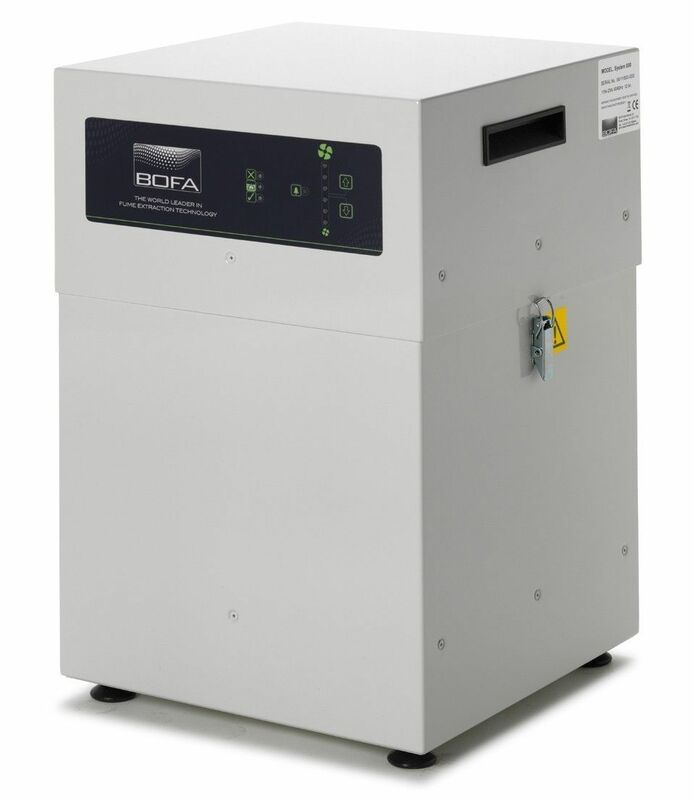 Effective, reliable air filtration for connection to various machines where dust and particle removal is the main concern. 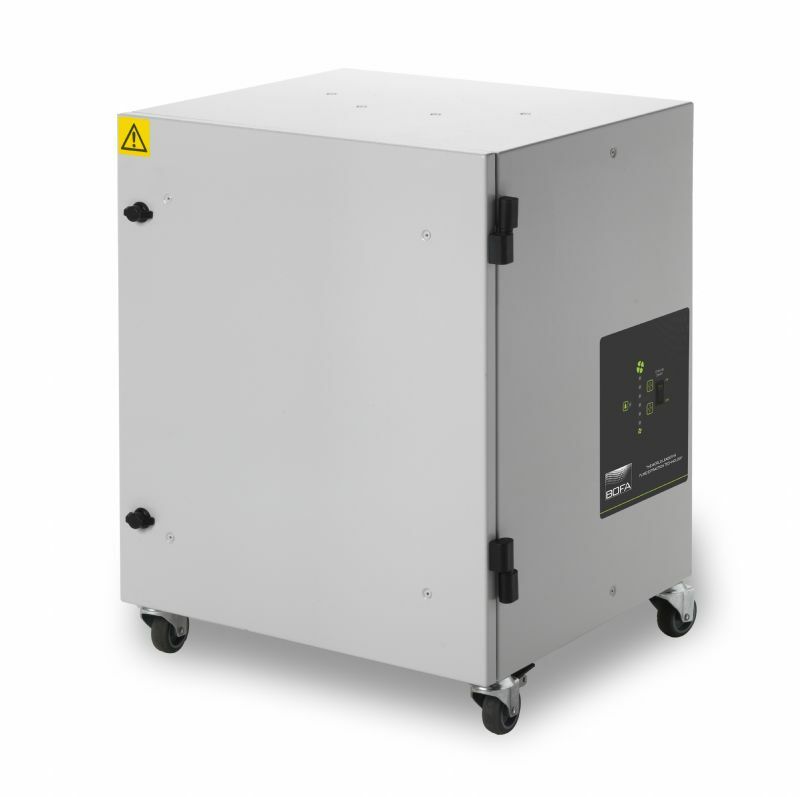 Choose this unit when laser or machine cutting, engraving, marking etc materials that produce little to no odor, metals, etc. Universal - removes dust and particles in a wide variety of applications with long life filters for minimal maintenance. One of the main problems with other router extraction relates to the type of pump used. Most have brushed motors which are noisy in operation and frequently burn out, with the average life of brushes being around 800 hours. The pump used in the DustPRO Universal is brushless and designed for continuous running with minimum 30,000 hours use before servicing. They generate high vacuums and are quiet in operation. The large capacity bag filter has a very high efficiency, removing 99% of particles as small as 0.3 microns. 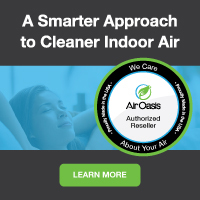 The air is then filtered by a HEPA, further removing 99.997% of dust and particles as small as 0.3 microns and even smaller as the filter begins to fill up, as the pore size is further reduced, etc. Order your DustPRO Universal Particle & Dust Extractor here at a discount online sales price and enjoy quiet, dust-free working conditions in your shop, or laboratory!